The NBA Finals will resume on Wednesday night and the Cavaliers are hoping the change in scenery will help them get back in this series. LeBron James and company were outplayed in Games 1 and 2 in Oakland, but now they get the advantage of playing in front of their home crowd. The Cavs are hopeful they will be able to feed off the crowd, especially their role players who have struggled in the first two games of the series. 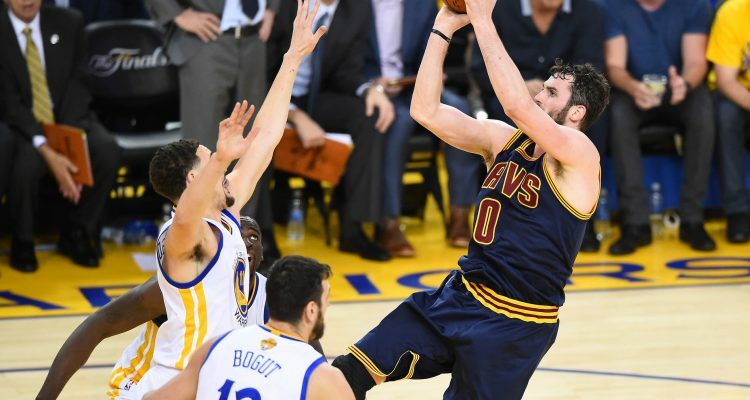 The Cavs were also hopeful that Kevin Love would be able to play in Game 3, but they are going to be disappointed. Love is an excellent rebounder and had been shooting the ball from distance very well in these playoffs. The Cavs will definitely miss his production, but a new look in the starting lineup could be exactly what the Cavs need to compete with the defending champs. Love played well in Game 1, but left Game 2 after Harrison Barnes connected with the back of his head while fighting for a rebound. Love did not play in the Finals last year and the Cavs were still able to win a couple games without him. The Warriors will likely face their toughest test of the series tonight, even without Love.